Welcome to the 11th North American Paleontological Convention (NAPC) to be held at the University of California, Riverside, June 23–27, 2019. NAPC is an international conference that meets every 4-5 years, bringing together all branches of paleontology (vertebrate, invertebrate, paleobotany, micropaleontology, paleo-related organic and inorganic geochemistry, paleoecology, paleoclimatology, and astrobiology) for a joint meeting typically hosted on a campus. The meeting attracts professional scientists, graduate and undergraduate students, serious amateur paleontologists, and interested members of the public. The purpose is to exchange research findings, define future directions, and be a forum for extended and relaxed interactions between professionals and early career scientists, most particularly graduate and undergraduate students. NAPC meetings are generally less formal than annual association meetings, and allow time for more extended and relaxed interactions. They also serve a major role in public outreach through public lectures and other activities. We are planning pre- and post- meeting field trips as well as single day field trips in the middle of the meeting. Registration and abstract submission open on January 14th, 2019. A number of student travel grants are available for BOTH International and US domestic students. Deadline to apply is March 1, 2019. Please apply and take advantage of early registration. International students - please be sure to include your country of origin. Attention teachers: there will be a free, one-day workshop held on Tuesday June 25 on how to use digital resources to engage students with real paleontological data. Click here for more information and see below for information on getting professional development credit. We extend a warm invitation to all to participate in the meeting, and are encouraged by the offers of support already received from Southern Californian paleontologists! Traveling from outside the US? 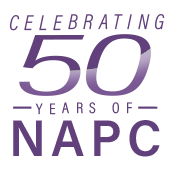 Please click here for International NAPC2019 guest information. Please mention the dates you plan to be in the US, any field trips you plan on attending, and if you are submitting an abstract to a symposium or topical session. Teachers who are interested in receiving professional development credit for attending the June 25 STEM workshop for teachers must make arrangements in advance with University Extension. The cost is $65 per unit and is paid directly to UNEX when they applying for credit. We will have space for exhibitors! If you are interested in becoming a sponsor or exhibiting at NAPC please contact NAPC2019@ucr.edu. Finding your space and feeling at home within your professional scientific community is difficult, even more-so if you aren't a part of the majority. We invite students to come get to know each other and start to build community. This lunch will feature a panel of paleontologists who speak from their own experiences as scientists with minoritized backgrounds and who offer tips and tricks for building networks for collaboration and support. These workshops are free of charge and open to all. Abstract submissions will be accepted beginning mid-January 2019 and close Friday, March 1, 2019, 23.59hrs PST. Registration opens January 14 and ends March 1. Late registration is between March 2 and May 15. Student grants are available for US domestic students.